As I write this sentence, my brain is already fretting about where to slot it in on CTMQ. It’s not a US First – although it’s close – and there are no ruins or remnants of it remaining here in Essex. All that exists are an interpretive sign and an old brown state tourism sign. “But,” I tell my fretting brain, “it’s cooooooool.” And so here it is: A page pretty much about nothing! Enjoy! 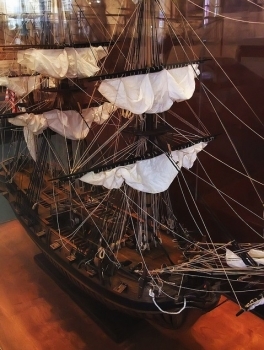 This beautiful model of the ship was stolen from this Flickr set. 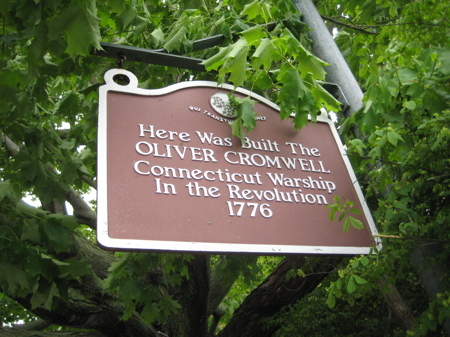 On January 31st, 1776, the Colony of Connecticut authorized the building of its first warship for the Revolution, the Oliver Cromwell. Charged with this mission was shipbuilder Uriah Hayden of Essex (then known as “Saybrook”) who quickly hired tradesmen and contracted with suppliers to outfit the vessel. Essex, perfectly situated for shipbuilding, suddenly experienced an economic boom as the Hayden’s housed the shipyard workers, and provided food, spirits and lodging to the suppliers, politicians and other patriots who would visit: the Oliver Cromwell was successfully launched on June 13, 1776. It was a full-rigged 300 ton vessel with an 80 foot keel, 27 foot beam and 12 foot depth of hold, she carried 20 guns with a 130 man crew and took 9 enemy prize ships during the Revolutionary War before her capture in 1779. 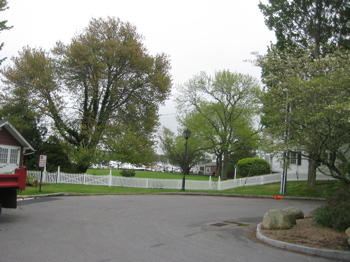 The Hayden shipyard, along with seven other yards in Essex built over 500 ships, creating a prosperous maritime village by the 1790’s. Heck, Connecticut shipyards built over 4,000 vessels for trade and war in the 18th and 19th centuries. My fifth great grand aunt’s husband John Hale was one of the first to served as a private on this ship. my ancestor William Holt of Danvers Ma signed on as a member of the crew under Capt Barr in the summer of 1778. William was 15 yrs at the time. He stated this at the time of His application for a Revolutionary War pension in 1818. I have a copy of the application. 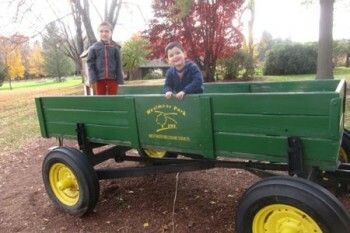 William died in Hermon Maine. he had service under gen Glover and in the War if 1812. In Machias Me. How shamefully disgusting. I can’t believe that they would name a ship after that murderous piece of scum. Did you know the Oliver Cromwell model is at CHS these days in our Making Connecticut exhibit? Have you come by to see it yet? Maitiu obviously you don’t know the whole story of Oliver Cromwell. the 12 years he ruled England were the most peaceful year in English history.The pilgrims after landing in America molded their constitution (some what) around the laws Cromwell initiated. He started the house of commons to let the common people have a say. I could go on but if you want more look it up yourself. I have an ancestor who received 18 shillings from the Oliver Cromwell account on 16 Jan 1779, so he must have served on her. Where can I find the documentation that lists crew members at this time? is there a list of ships company. my wifes ancestor john Easton olcott was a marine serving on her during the revolutionary war. any info would be of great help. thank you. My 4th g-grandfather served on the CROMWELL, and the joined the 2nd Conn Line after being exchanged. There are several internet sites with a partial pay list available, search OLIVER CROMWELL PAY LIST. I have not found any more complete list. This is great! I see from the comments that I have found another relative. Uriah Hayden was my 3rd or 4th great grandfather. My grandfather was Ira Hayden, Charles Hayden was his grandfather (if I am right). My mother (95) was a Hayden. She just passed away 05/09/2016. I have photos of Captain Charles Hayden. Love finding out all of this. My **** great grandfather captn. Phineas Cary ( a Marine) sailed on the Oliver Cromwell. I have tons of great documents about this. This is so cool to find. Janet and Gary, a partial crew list is given by Louis F. Middlebrook in his “History of Maritime Connecticut during the American Revolution”, V1, the Essex Institute 1925, pages 116 & 117. This is available online. Be careful with the name of this ship as there were at least 2 of that name and possibly 4. The one with the best research is by Harold Hahn; which was registered in Philadelphia and probably built in Rhode Island (per John F. MIllar, and after she captured the Brits renamed her ‘Restoration’ ) OR was a converted merchantman from Philadelphia (per Hahn, and after she was captured, the Brits renamed her ‘Beaver’s Prize ‘). I am interested in the CT Oliver Cromwell because I live here (Middletown) and because I build model ships. I am still researching her but am having little success thus far in getting solid leads as to her looks and lines, rigging and decorations. I have Hahn’s plans and books but his work is for the Philadelphia OC. This is all so wonderful to read. I am doing a wool hooked rug of the ship and giving it borders of whales and sea shells etc. However, i am wondering does anyone know what the mast flag color and initials or what was on it? I can of course just use a white color but I am sure it had initials or a number?? ?